Senior Bharatiya Janata Party (BJP) leader and ex-Chief Minister of Arunachal Pradesh, Gegong Apang, on Tuesday tendered his resignation to party president Amit Shah expressing his disappointment at the functioning of the saffron party. “I am disappointed to see that the present day BJP is no longer following the principles of Late Vajpayee ji. 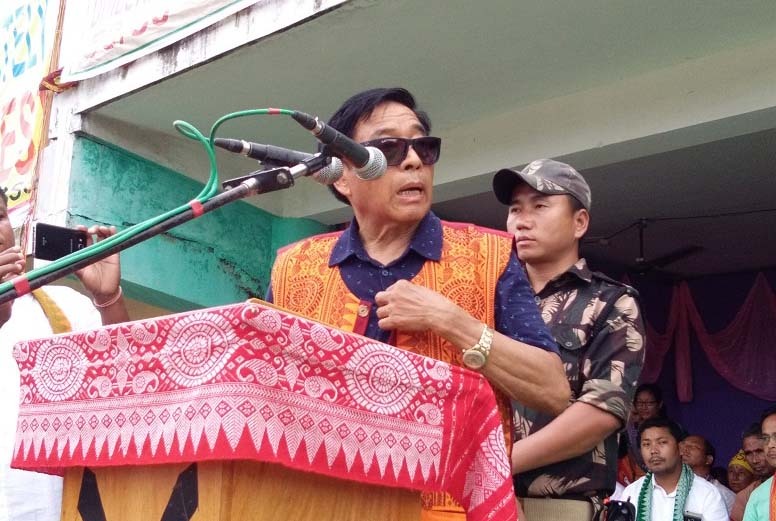 The party is now a platform to seek power, it serves a leadership which hates decentralization or democratic decision making and no longer believes that the party founded for,” said Apang in his letter to BJP’s national president Amit Shah and ArunachalBJP president Tapir Gao. “BJP did not get people’s mandate in 2014. But the BJP leadership used every dirty trick of the trade and installed Late Kalikho Pul as CM. Despite an adverse SC ruling, a BJP Government was reinstalled. Neither a proper investigation was done in Mr Pul’s suicide nor the present BJP leadership thought or morality and ethics by installing many more BJP Governments in northeast,” stated Apang in his letter. He said during the State level executive committee meeting held on November 10 & 11, 2018 at Pasighat, party general secretary Ram Madhav did not allow many members and office-bearers to place their views before the party. “The decision to put Pema Khandu’s name as CM before the election is neither the norm nor the tradition that the cadre based party like BJP had followed. The BJP in the past has always asked the views of the legislature party members and then decided on leadership issues. Such undemocratic practices are not for the parties that grew under the leadership of Shri Advani, Shri Vajpayee, Shri BS Shekawat, Shri Kushbhau Thakre, Shri M. Khurana, Rajmata Scindia and Shri S kandar Bakhl,” said Apang, who had been an MLA for seven times and served the State for 23 years as Chief Minister. “From issues like grass-root delivery of government schemes to matters like Naga peace talks, Chakma – Hajong issue, amendments of citizenship bill, telecommunications and real time digital connectivity to peaceful and cordial relation with neighbours like Bangladesh, Myanmar and China, both the party and the Modi Sarkar – are not addressing the real issues,” Apang further said.